is a pump used to remove water that has accumulated in a water collecting sump pit, commonly found in the basement of homes. The water may enter via the perimeter drains of a basement waterproofing system, funneling into the pit or because of rain or natural ground water, if the basement is below the water table level. where basement flooding happens regularly and to remedy dampness where the water table is above the foundation of a home. Sump pumps send water away from a house to any place where it is no longer problematic, such as a municipal storm drain or a dry well. Pumps may be connected to the sanitary sewer in older properties. Now, this practice may be against the plumbing code or at least municipal bylaws because it can overwhelm the municipal sewage treatment system. Municipalities urge homeowners to disconnect and reroute sump pump discharge away from sanitary sewers. Fines may be imposed for noncompliance. Many homeowners have inherited their sump pump configurations and do not realize that the pump discharges to the sewer. If the discharge is fed to a deep sink in the basement it's likely going to the sewer.Usually hardwired into a home's electrical system, sump pumps may have a battery backup. The home's pressurized water supply powers some pumps, eliminating the need for electricity. Since a sump pit may overflow if not constantly pumped, a backup system is important for cases when the main power is out for prolonged periods of time. 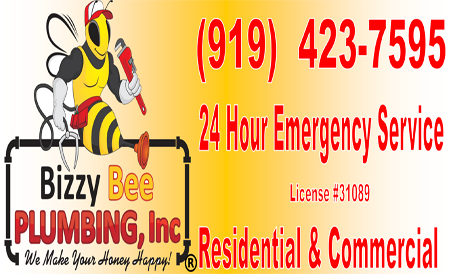 We sell, repair, replace and install sump pumps in Raleigh, NC. All our parts are fully stocked and we are ready for sump pump emrgency in Raleigh, Durham, Apex, Cary, Holly Springs, Morrisville, Garner, Knightdale. 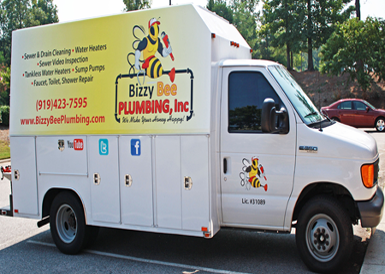 We offer full service and repair plumbing with flat rate pricing. You will know exactly how much a job is without worrying if we will be in your house for few more hours. We won't charge you more after we already gave you an estimate. We will tell you how to do your sump pumps maintenance, how to select the right pump and about future warranty. There are generally two types of sump pumps: pedestal and submersible. The pedestal pump's motor is mounted above the pit, where it is more easily serviced but also more conspicuous.